← We don’t want your money honey, we want your love. Buy an indigenous plant instead of cut flowers. Cut flowers only last a week, are grown with pesticides, and can be air freighted. An indigenous plant will last for ever. 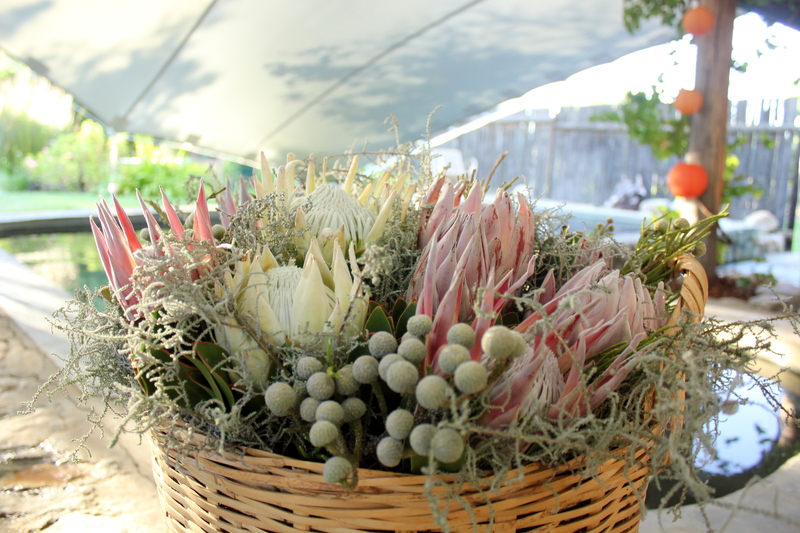 When buying indigenous flowers such as Protea, ask if flowers have been harvested legally. All harvesters should have a Cape Nature permit, otherwise you have no guarantees that the flowers have not been illegally cut down in nature reserves. If you do buy your valentine a gift, choose a locally produced gift. Buy a bunch of wire-and-bead flowers. Be creative with using less or no wrapping paper. Newspaper works well too! If you drink champagne, choose a locally produced and organic brand such as Avondale which is MCC certified. Have you had a good Valentine’s gift idea? Please share it with us. A look at the history and the ethics of Valentine’s Day. Friday was Valentine’s Day, a day to appreciate your loved ones.Part of my assignment for a class I am taking is to write a Simonette about a topic of my choice.